Nike Art of Football invited football fans to submit designs for their 2008 art show to coincide with the Euro 2008 Championships. 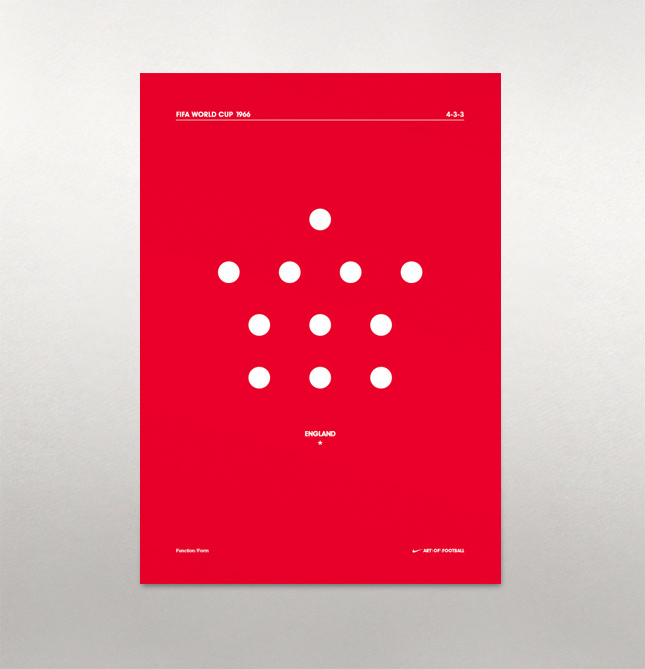 F/F produced a series of posters focusing on strong information based graphics to celebrate the championships taking part in Switzerland and Austria. The posters depicted the formations used by the 7 different teams that have won the FIFA World Cup. Shown is the 1966 winning formation used by England.